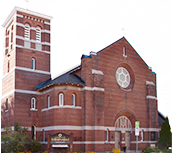 Our parish was one of the first in the Diocese of Ottawa to open an account on Twitter, almost nine years ago, in April of 2010. It began as a communications channel for the Music Programme at St. Barnabas. At first, there were just a handful of followers. We now count over 455! Twitter is a social networking – or social media – service that is free for users. This article previously appeared in Crosstalk, the newspaper of the Anglican Diocese of Ottawa.